Most Australians have heard of the Kokoda Track, but few truly understand the significance of the campaign. In 1942, Australian and Papuan land forces navigated mountainous jungle terrain in order to halt a Japanese offensive. Their service and sacrifice protected our country from further attack and ultimately saved lives. 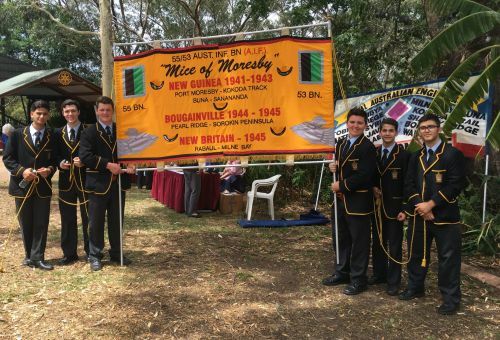 On Saturday 3 November, student leaders, accompanied by Mr Newman, attended the 75th Anniversary of the Kokoda Track in Concord. By carrying banners and laying a wreath, boys paid their respects to servicemen and women who died protecting our country.